New York: Random House, 1941. Farley, Walter. THE BLACK STALLION. New York: Random House, 1941. 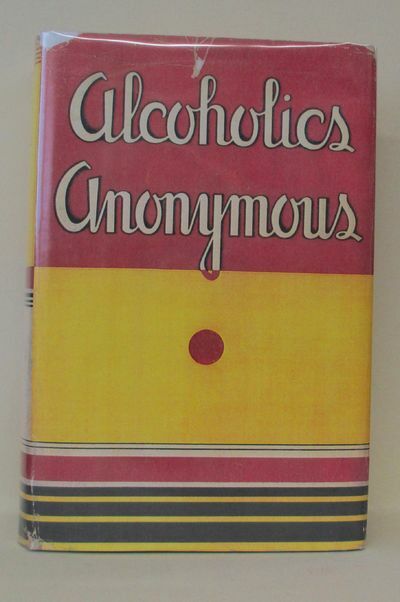 FIRST EDITION, FIRST PRINTING (so stated). A Very Good copy (finger-soiling, spine slightly darkened, edges dusty, light restoration to spine tips) in the original publisher's decorated cloth. In a Good to Very Good original priced first printing dust jacket with absolutely all correct first printing points. The Dust Jacket is spine-faded and has some chips, stains, creases, and has been trimmed by the publisher. This first printing dust jacket is exceedingly rare (we've only seen or heard of six or so in the last twenty years). Far more important, this copy is ONE OF ONLY TWO SIGNED FIRST PRINTING COPIES KNOWN TO US (the other still residing with the author's heirs). "To Delores -/ My very extra-special/ girlfriend. / Love, / Walter/ Sept. 3rd 1940]/ P.S. Let your sister Sue, and/your mother and your dad/take a "peek" at the Black, too, / won't you?" 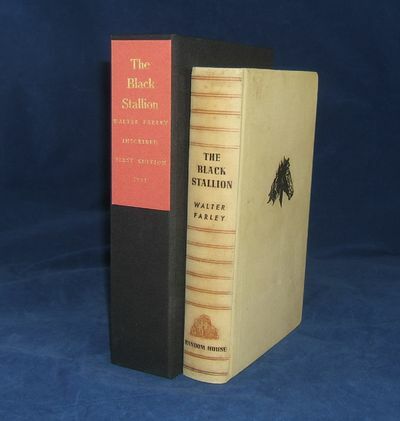 THE BLACK STALLION, along with the other 21 books in the Black Stallion series published between 1941-1983, have sold tens of millions of copies over the last seven decades. The fine 1979 film adaptation of THE BLACK STALLION won several Oscar nominations. This is a chance to acquire THE copy of the enduring book which gave birth to what the New York Times called "the most famous fictional horse of the [20th] century." Housed in a beautiful custom matching black-and-red slipcase. . Signed. First Edition. Hard Cover. Very Good/Good or Better. Illus. by Keith Ward. Taliesin, Spring Green, Wisconsin, [May1941]. 8.5" x 8.5"(folded),17" x 17"(open). "Broadsheet, A TALIESIN SQUARE-PAPER A NONPOLITICAL VOICE FROM OUR DEMOCRATIC MINORITY. (Taliesin, Spring Green, Wisconsin, [May 1941]) 4pp. 8.5"" x 8.5"" (folded), 17"" x 17"" (open), not numbered, this issue titled, ""GOOD AFTERNOON, EDITOR EVJUE"" Addressed on the verso in type to ""MR. LEWIS MUMFORD AMENIA NEW YORK"" who adds a date in pencil on the address panel: ""29/V/41"". Light toning toward original folds and margins, else fine condition.Subtitled, ""A FREE FEARLESS ENLIGHTENED MINORITY IS THE CONSCIENCE OF A DEMOCRATIC NATION. WHEN IT IS STIFLED, DEMOCRACY IS GONE FROM THE LIFE OF THE PEOPLE AND FROM THE LIFE OF THE NATION,"" this was an occasional series of publications published by Wright at Taliesin between 1941 and 1953. The early issues, focused on Wrights' resistance to the United States entering the war in Europe? "though Wright, who was a principled opponent of war and empire, would not characterize his stance as isolationist. This issue reprints an exchange between Wright and William T. Evjue, editor of the Capital Times of Madison, Wisconsin concerning U.S. involvement in the war in Europe. Responding directly to accusations of isolationism and by default, supporting Hitler: ""I have great respect and considerable affection for the editor of this paper. The fact that I deplore the violence of his anti-Hitlerism does not diminish this fact. Deploring the extremity of his anti-Hitlerism does not mean I am pro-Nazi.... I admire his [Evjue's] loyalty to our president because he believes the president's foreign policy is right. He is fortune. I believe the president's foreign policy is dangerously wrong..."" Stating his firm belief in the virtues of a citizen-militia as espoused by Voltaire, he found the idea of a draft lottery ""demoralizing, not inspiring, American youth. Why must haphazard lottery take the place of free will and circumstantial evidence in selecting the defenders of this nation when human life is the pawn?"" Wright accuses Roosevelt, whom he supported in the early years of his administration, of using Hitler as a bogyman ""to frighten the nation,"" allowing him to roll over a ""craven congress,"" that had ""sold out democracy."" In some respects, Wright was prophetic. He viewed the vast military buildup taking place as shortsighted as many of the items being produced would be soon outdated and to a certain extent he was correct in that assessment. While he advocated a 350,000-strong citizen militia to defend the country's shores? "an impractical idea in the face of professional armies? "he did envision that within five years ""we should have the best air force on earth,"" while maintaining a ""superb submarine flotilla."" On both of these counts, Wright was right on the money. In a similar vein, Wright, who believed that the decentralization of cities was critical to the preservation of democracy, he foresaw, in his plans for Broadacre City, the suburbanization of America. Despite Wright's principled opposition to U.S. entry into the war, many found his positions repugnant. His statement: ""I agreed with Ambassador Kennedy then and I agree with him now,"" did not win him many friends. This included the architectural critic Lewis Mumford, to whom Wright sent this particular copy.Lewis Mumford and Frank Lloyd Wright first began corresponding in the 1920s, after Mumford had contributed an essay to the Dutch journal Wendingen in 1925 in which he discussed Wright's work as a continuation of a line of innovation begun by H. H. Richardson and Louis Sullivan as well as placing Wright in contrast to the European modernists like Le Corbusier. Mumford also characterized Wright's work as an ideal of form and expression ideally suited to the American landscape. An article along similar lines authored by Mumford for The American Mercury, elected a response from Wright in August 1926, in which the architect questioned the depth Mumford's understanding of his work. A set of exchanges culminated in their first meeting, a luncheon at the Plaza Hotel in New York, during the winter of 1926-1927 that would being a long and productive dialogue and friendship.This friendship, born of mutual respect and a love of argument, came under enormous strain in the years leading up the Second World War. Mumford, a liberal Democrat, viewed the rise of Nazism and Fascism anxiously? "as he detailed in numerous articles and two full-length works: Men must Act (1939) and Faith For Living (1940) . Wright held a different view. His general distrust of empire compelled Wright to take a stand against American involvement in the escalating European conflict that stuck many as merely isolationist? "a charge that the architect roundly rejected.The final straw for Mumford came in a subsequent Taliesin Square-Paper, which declared ""HITLER IS WINNING THIS WAR WITHOUT A NAVY. We are facing a new kind of warfare that the British Empire, owing to traditional faith in a great navy, cannot learn in time even if we furnished the equipment... Our frontier is no longer England, nor in any sense, it is European. Our frontier is our own shores."" An infuriated Mumford shot back to Wright: ""You dishonor all the generous impulses you once ennobled... Be silent! lest you bring upon yourself some greater shame."" To this, Wright retorted: ""There is no good Empire, there never was a just war."" True to his principles, Wright remained steadfastly opposed to the Second World War, and war in general. Escalating the feud, Mumford published his response to Wright in the interventionist journal, the New Leader. The two did not speak for over a decade. The postwar period saw a thaw in their relationship, and Mumford remained a great admirer of Wright's work, despite their personal and philosophical differences. And Wright, despite Mumford's public shaming of the architect in print, continued sending New Year's greetings, unanswered by Mumford. However in the spring of 1951, Wright forwarded Mumford a copy of Sixty Years of Living Architecture, inscribed: ""In spite of all, your old F. Ll. W.""The gesture moved Mumford to respond and the two began the process of reconciliation.On February 1952, the two reunited for the first time in over a decade, at the place where they first met, over lunch at The Plaza ?" where they enjoyed what Mumford described as ""our reconciliation luncheon."" As they caught up on family news and professional developments, Wright rendered a series of four sketches, one of the Walker Warehouse in Chicago (1888-1889) and the Wainwright Tomb in St. Louis (1890), both designed by his Leiber Meister, Louis Sullivan. (As Adler and Sullivan's chief draftsman, Wright had a direct involvement with both projects). 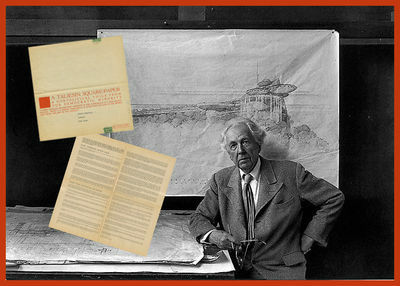 Cognizant of the importance of that afternoon, Mumford retained the sketches as a souvenir (Wright, Mumford, et al., Frank Lloyd Wright & Lewis Mumford: Thirty Years of Correspondence, 2001, 22-26)." New Poems: 1940 - An Anthology of British and American Verse. Edited by Oscar Williams. With a Foreword by George Barker. Including an Appendix with Biographical Notes and Portraits of the Poets. New York, The Yardstick Press, 1941.. First Edition. 8°. 276 pages. Original Hardcover with original dustjacket in protective Mylar. Excellent condition with only minor signs of external wear. From the library of american poet Peter Viereck. Inscribed and signed on the titlepage: "Peter Viereck - with regards - Oscar Williams".. [Includes Poetry by Conrad Aiken / W.H.Auden: September 1,1939 / In Memory of W.B.Yeats (died January 1939) / George Barker: Triumphal Ode MCMXXXIX / Two Epistles / Seven Pacific Sonnets etc. / John Berryman: The Spinning Heart / The Moon and the Night and the Men / Desires of Men and Women etc. / Elizabeth Bishop - Roosters / Richard Eberhart - The Groundhog / The Soul longs to Return whence it Came / Alfred Hayes - The Imitation of Faust / Robinson Jeffers: May-June 1940 / The Bloody Sire / Willard Maas: The Secret on the Urn / The Kind Look / The Marble Head / Archibald MacLeish: Discovery of this Time / Voyage West / Louis MacNeice - Death of an Actress / Refugees / Jehu / Mariannae Moore: A Glass-Ribbed Nest / What are Years / Frederic Prokosch - Elegy / The Festival / War of Nerves / Muriel Rukeyser - The Rotten Lake Elegy / The River Elegy / Marshall Schacht - "The New Yorker" / Not to Forget Miss Dickinson / The Fancy People / Theodore Spencer - Two of a Kind / Stephen Spender - To Poets and Airmen / Air Raid / Dusk / At Night / The Double Shame / Dylan Thomas - Light Breaks Where No Sun Shines / Ten Sonnets / Twenty Four Years / Poem / Robert Penn Warren - Bearded Oaks / Crime / Picnic Remembered / Oscar Williams - The Man Coming Toward You / A 1940 Vacation / The Leg in the Subway / I Remember the Block Party / William Carlos Williams - The Forgotten City / Marya Zaturenska - The Casket of Pandora / The Descent of the Vulture / and many more - Appendix with Biographical Notes and Portraits of the Poets. London: Macmillan and Co., Limited,, 1941. Octavo. Original blue cloth, gilt title to spine. With figures in the text. Slight wear to spine ends and corners, endpapers lightly toned; a very good copy. 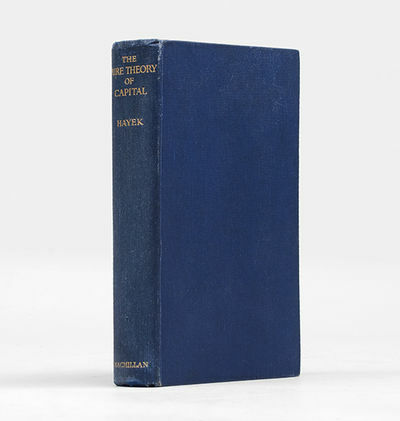 First edition of this scarce title, which showed "the very complex nature of capital and its importance in economic booms and slumps, and stands as a classic in the field" (Butler). Hayek "provides lucid expositions of his notions of 'inter-temporal equilbrium', the 'physical productivity of investment', and the 'vertical or successive division of labor'. Although Hayek rejects the concept of a 'supply of capital' as a measurable quantity, he derives a meaningful 'marginal productivity of investment'" (IESS). Genève: Editions du milieu du monde, 1941. Fine. Editions du milieu du monde, Genève 1941, 12x19cm, broché. - First edition, one of 14 numbered copies on "pur-fil" paper Marais, ours specially printed for Charles Perrenoud, head draw after 2 and 8 Rives old Japan. Signed autograph of the author under the justification of the draw: "With friends in Paris and my best memory" acquired two drawings with pencils red and blue colors. The first consisting of a profile portrait with the smoking cigarette, the second being a little heart pierced by an arrow with the abbreviation P (our) .L (a) .V (ie). Small bites on the back, the boards, the guards and the margins of some leaves. --- Please note that the translation in english is done automatically, we apologize if the formulas are inaccurate. Contact us for any information! - [FRENCH VERSION FOLLOWS] Edition originale, un des 14 exemplaires numérotés sur pur fil du Marais, le nôtre spécialement imprimée pour Charles Perrenoud, tirage de tête après 2 vieux Japon et 8 Rives. 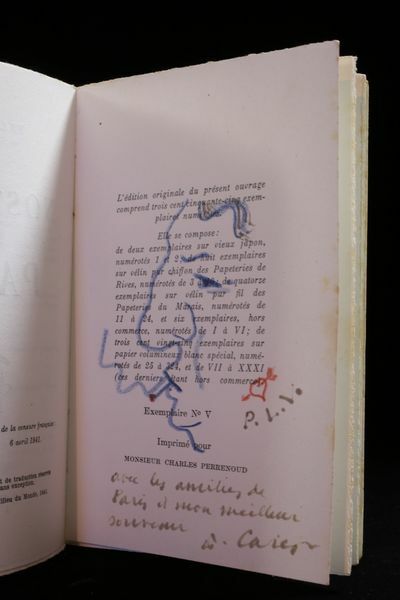 Envoi autographe signé de Francis Carco en dessous de la justification du tirage : "Avec les amitiés de Paris et mon meilleur souvenir" enrichi de deux dessins aux crayons de couleurs rouge et bleu. Le premier consistant en un autoportrait de profil à la cigarette fumante, le second étant un petit coeur traversé d'une flèche avec l'abréviation P(our).L(a).V(ie). Petites piqûres sur le dos, les plats, les gardes et les marges de certains feuillets. Barcelona, Editorial Apolo, 1941. 4to. ; 127 pp. Encuadernación original en tela. Zaragoza, Talleres Editoriales El Noticiero, Octubre 1941. 4to. menor; 112 pp. Ilustraciones de Barradas. 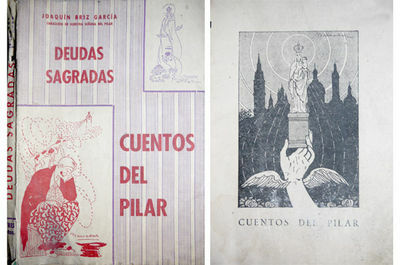 Cubiertas originales de Barradas..
México, D.F., Editorial Salvador Chavez Haydoe, 1941 [«Nueva Colección de Documentos para la Historia de México»]. 4to. mayor; XXXIX - 289 pp. Cubiertas originales. THE GESTAPO, HITLER'S SECRET POLICE--THE NAZI SCOURGE IN GERMANY, THE CONQUERED COUNTRIES [AND] THE UNITED STATES. JEWS IN NAZI EUROPE, FEBRUARY 1933 TO NOVEMBER 1941: A STUDY PREPARED BY THE INSTITUTE OF JEWISH AFFAIRS, SUBMITTED TO THE INTER-AMERICAN JEWISH CONFERENCE, NOVEMBER 23-24-25, 1941, BALTIMORE, MD. New York: Works Publishing Co., 1941. (The Big Blue Book) A near very good copy (upper corners bumped, touch of soil). Gilt on spine still fairly bright. A nice, tight copy with no internal markings, very suitable for a gift. In a great dustjacket, a laser color COPY of an elusive original which was good+, showing normal wear and light chipping. You have to look closely to realize it's a copy. A welcome addition to the shelf of your favorite collector.. March, 1941. Cloth. Near Very Good/Color Laser Copy. Cincinnati: The Little Man Press, , 1941. Small octavo. Original pale blue cloth, titles to spine red, text printed on blue paper. With the dust jacket. Title page by Matta. Spine and board edges a little faded, contents mildly toned; an excellent copy in the toned jacket with a couple of nicks and chips to extremities. 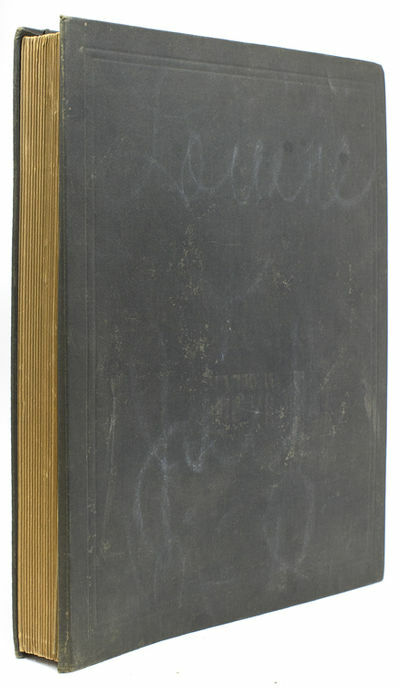 First edition, signed limited issue. 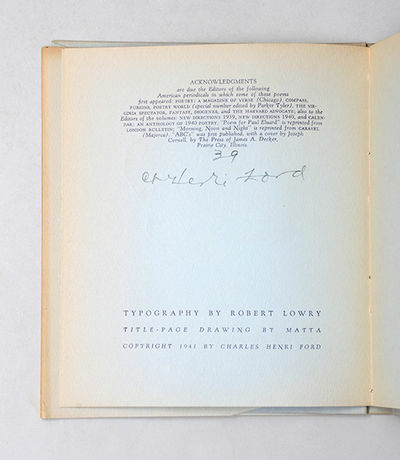 Number 39 of 50 copies signed by Ford, from an edition of 400 copies. New York: Alfred Knopf, 1941. Hardbound. VG, with leather bookplate of Harry N. Abrams inside front cover. 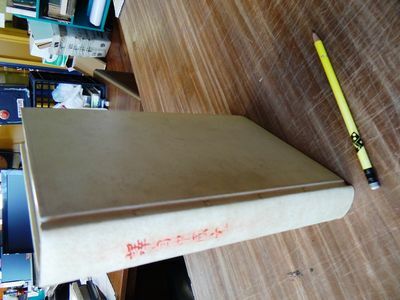 Faux vellum, cream colored with red chinese characters printed on spine. Original signed etching facing title-page, wherein it is written "9 copies" Etching is titled "Hatamen Street" and is signed and dated 1941. Colophon for this edition at rear, signed by Richard Ellis, who designed this edition. Presumably one of 9 copies with this binding and etching. The Ill-Made Knight. The third volume of White's celebrated Arthurian tetralogy. Collins, London, 1941, Hardcover, Book Condition: Very Good, Dust Jacket Condition: Good, 1st Edition. 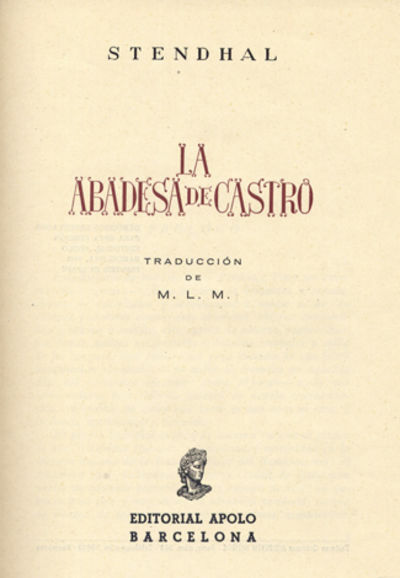 The first English edition (preceded by the US issue published the previous year). 8vo. 296pp. Red cloth lettered in gold at spine. Illustrated with decorations by the author. Top edge dust marked and with just a trace of minor blemishing to cloth at upper board. Small stain to the margin of three adjacent leaves. 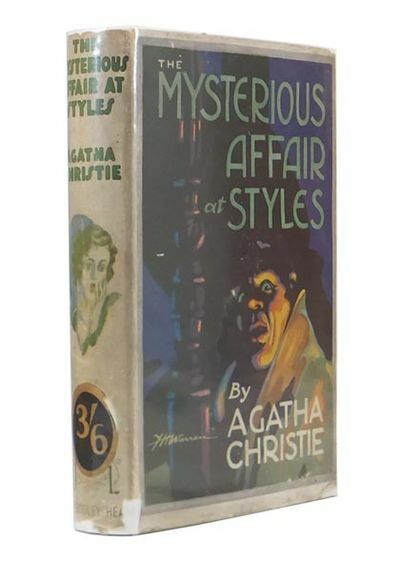 A slightly dusty yet very good copy housed in the extremely uncommon dust wrapper, albeit a somewhat handled example - faded and a little stained at spine panel and with a small enclosed tear; nicked and rubbed at edges with several small tears and fractions of loss; and with some dust soiling to rear panel. Handsome former owner bookplate to front pastedown. Paris: Grasset, 1941. Fine. Grasset, Paris 1941, 12x19cm, broché. - First edition, one of 62 numbered copies on Alfa paper, the only leading copies after 18 "pur-fil" paper. Signed autograph of the author. Light spots on the flat edge and the guards, otherwise nice copy. --- Please note that the translation in english is done automatically, we apologize if the formulas are inaccurate. Contact us for any information! - [FRENCH VERSION FOLLOWS] Edition originale, un des 62 exemplaires numérotés sur alfa, seuls grands papiers après 18 pur fil. Envoi autographe signé de Paul Morand. Légères piqûres marginales sur les plats et les gardes, sinon agréable exemplaire. Taliesin, Spring Green, Wisconsin, [May1941]. 8.5" x 8.5"(folded),17" x 17"(open). "Broadsheet, A TALIESIN SQUARE-PAPER A NONPOLITICAL VOICE FROM OUR DEMOCRATIC MINORITY. (Taliesin, Spring Green, Wisconsin, [May 1941]) 4pp. 8.5"" x 8.5"" (folded), 17"" x 17"" (open), this issue (No. 5) titled, ""TO BEAT THE ENEMY"" Addressed on the verso in type to ""MR. LEWIS MUMFORD AMENIA NEW YORK"" who tersely writes, ""Return to"" with an arrow pointing to ""TALIESIN,"", crossing out his name and writing ""&#39;Take,"" as well as adding a date in pencil: ""July 41"". Light toning toward original folds and margins, else fine condition.Subtitled, ""A FREE FEARLESS ENLIGHTENED MINORITY IS THE CONSCIENCE OF A DEMOCRATIC NATION. WHEN IT IS STIFLED, DEMOCRACY IS GONE FROM THE LIFE OF THE PEOPLE AND FROM THE LIFE OF THE NATION,"" this was an occasional series of publications published by Wright at Taliesin between 1941 and 1953. The early issues, focused on Wrights&#39; resistance to the United States entering the war in Europe?? ?though Wright, who was a principled opponent of war and empire, would not characterize his stance as isolationist. Entitled ""TO BEAT THE ENEMY,"" Wright decries all forms of ""despotism,"" whether it German, Russian, Japanese, or American. ""No matter who wins this war, we, the people will eventually have to resolve this clash between two despotisms: the visible despotism of the axis powers and the invisible despotism of the so-called Democratic powers... Democratic despotism is losing visibility rapidly as we sneak toward total war. If we ask we will find the answers to be the same. Winning the war is not going to help the people if either set of rulers win if orthodox-finance governs heir use of the victory as it most surely will, unless the people act NO. If the people do not act no, democracy is no longer a living issue! If Hitler wins he would have to remain a visible despot. If Churchill wins he would have to become one with Franklin Roosevelt a likely a second. ""Lewis Mumford and Frank Lloyd Wright first began corresponding in the 1920s, after Mumford had contributed an essay to the Dutch journal Wendingen in 1925 in which he discussed Wright&#39;s work as a continuation of a line of innovation begun by H. H. Richardson and Louis Sullivan as well as placing Wright in contrast to the European modernists like Le Corbusier. Mumford also characterized Wright&#39;s work as an ideal of form and expression ideally suited to the American landscape. An article along similar lines authored by Mumford for The American Mercury, elected a response from Wright in August 1926, in which the architect questioned the depth Mumford&#39;s understanding of his work. A set of exchanges culminated in their first meeting, a luncheon at the Plaza Hotel in New York, during the winter of 1926-1927 that would being a long and productive dialogue and friendship.This friendship, born of mutual respect and a love of argument, came under enormous strain in the years leading up the Second World War. Mumford, a liberal Democrat, viewed the rise of Nazism and Fascism anxiously?? ?as he detailed in numerous articles and two full-length works: Men must Act (1939) and Faith For Living (1940) . Wright held a different view. His general distrust of empire compelled Wright to take a stand against American involvement in the escalating European conflict that struck many as merely isolationist?? ?a charge that the architect roundly rejected.The final straw for Mumford had already arrived in a May 1941 issue which declared ""HITLER IS WINNING THIS WAR WITHOUT A NAVY. We are facing a new kind of warfare that the British Empire, owing to traditional faith in a great navy, cannot learn in time even if we furnished the equipment... Our frontier is no longer England, nor in any sense, it is European. Our frontier is our own shores.... "" An infuriated Mumford shot back to Wright: ""You dishonor all the generous impulses you once ennobled... Be silent! lest you bring upon yourself some greater shame."" To this, Wright retorted: ""There is no good Empire, there never was a just war."" True to his principles, Wright remained steadfastly opposed to the Second World War, and war in general. Escalating the feud, Mumford published his response to Wright in the interventionist journal, the New Leader. The two did not speak for over a decade. Wright, despite Mumford&#39;s hostility, continued sending along his ""Square-Papers,"" together with New Year&#39;s greetings and other pleasantries, all of which went unanswered by Mumford.The postwar period saw a thaw in their relationship, and Mumford remained a great admirer of Wright&#39;s work, despite their personal and philosophical differences. And Wright, despite Mumford&#39;s public shaming of the architect in print, continued sending New Year&#39;s greetings, unanswered by Mumford. However in the spring of 1951, Wright forwarded Mumford a copy of Sixty Years of Living Architecture, inscribed: ""In spite of all, your old F. Ll. W.""The gesture moved Mumford to respond and the two began the process of reconciliation, and the pair continued to correspond until Wright&#39;s death in 1959 (Wright, Mumford, et al., Frank Lloyd Wright & Lewis Mumford: Thirty Years of Correspondence, 2001, 22-26)." NEILL, JOHN R.. NEILL,JOHN R. ORIGINAL ART: SCALAWAGONS OF OZ. When Ruth Plumly Thompson left Oz publishers Reilly and Lee, John R. Neill took over as author of the Oz series while still continuing to illustrate the books. The first Oz book Neill wrote was Wonder City of Oz and Scalawagons was the next (1941). This is a wonderful large finished pen and ink drawing by Neill. 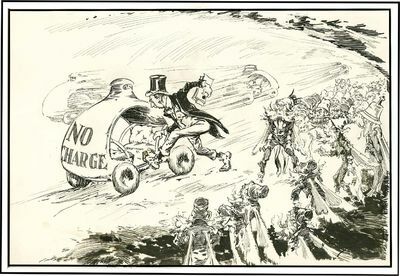 Depicted is a Scalawagon (a magical car) and a man rushing to get into the car. He is surrounded by 10-15 strange winged creatures called Bell-Men (because they have bell's on their heads). The image measures 12 1/2" wide x 8 1/2" matted. This does not appear in the book. It is from the estate of the Neill family. Ms. Brief m. eigenh. U. &#132;H. Hesse". London: Cassell and Company Ltd.,, 1941?-46. Into Battle; The Unrelenting Struggle; The End of the Beginning; Onwards to Victory; The Dawn of Liberation; Victory; Secret Session Speeches. 7 individually issued works, octavo. Recent full burgundy morocco, titles and decoration to spines gilt, marbled endpapers, all edges gilt. Frontispieces in first five works along with other photographs. A fine set. First editions, first impressions. New York: The Viking Press. Hardcover. 128 pages. 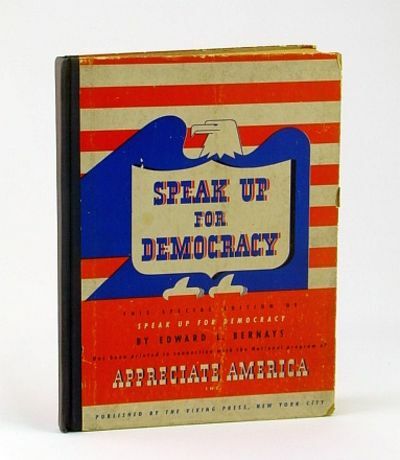 Second printing of the 1940 first edition. Specially printed in connection with the national program of Appreciate America Inc. "At this very moment attempts directed, financed, or encouraged from Europe, Asia, and even from within our borders are being made to destroy our national unity and morale, to create and enlarge differences among us which might make for confusion, panic, and collapse, if we were attacked by an enemy." - from page vii. Bernays designed this plan to galvanize the ties of common interest of Americans for the purpose of achieving a strong national morale. His plan includes "proved methods of persuasion, of influencing, of crystallizing and mobilizing public opinion." - from page viii. Chapters include: What is Democracy; Speak Up for Democracy; What Democracy Means to You; Accusations and Answers; Saboteurs of Democracy; How to Speak Up for Democracy - General; Planned Events - Backbone of Your Campaign; Planning to Speak Up for Democracy; Holidays and other Celebrations - Springboards for Democracy; The Press; Using the Mail/Pamphlets/Leaflets; The Forum Discussion; Radio/Motion Pictures/Other Media; Youth; plus a variety of important information useful for campaigning. Boards illustrated in patriotic red, white and blue motif. Gift greetings upon front free endpaper, otherwise unmarked. Binding intact. Average wear. A sound copy of this important Bernays work. . Good. 1941. Second Printing. O. O., 11. August 1941. - 2 SS. Gr.-4to. Einige Bleistiftzusätze von fremder Hand. Fragebogen der &#132;American Composers Alliance, Inc." Detaillierter Fragebogen der 1938 von amerikanischen Komponisten gegründeten Selbsthilfeorganisation, mit Schönbergs Angaben zu seiner Komposition &#132;Karte für Opus 8", &#132;Six Orchestral Songs (Sechs Orchester Lieder)" mit den Titeln &#132;1. Natur - 2. Das Wappenschild. - 3. Sehnsucht. - 4. Nie ward ich, Herrin, müd'. - 5. Voll jener Süsse - 6. Wenn Vöglein klagen". Mit interessanten Informationen zur Entstehung etc. "When composed &#145;1904&#146;. Performance time &#145;30 Min.&#146;. Name of the Author &#145;1 Heinrich Hart, 2, 8, 3 Volkssongs 4, 5, 6 Petrarca&#146;." Es folgt eine genaue Aufstellung der Orchestrierung nach Instrumenten, Angaben zur Publizierung und Aufführungen: &#132;Place of first performance &#130;Prag&#146;. Organization and conductor &#145;Zemlinsky Deutsches Landestheater&#146;. Other important performances [ ]". The War Speeches & The Post-War Speeches, Into Battle, The Unrelenting Struggle, The End of the Beginning, Onwards to Victory, The Dawn of Liberation, Victory, Secret Session Speeches [SIGNED], The Sinews of Peace, Europe United, In the Balance, Stemming the Tide, The Unwritten Alliance. Columbia University Press, 1941, Hardcover, Book Condition: Very Good in Fair dustjacket; 9 x 12 Hardback in Very Good condition. Pages, including plates, are bright and clean. Slipcase is present but damaged and in fair condition.. Illustrated by 39 black and white; GWO 1938. Catalog of these Persian rugs and textiles in this sacred Shia shrine. 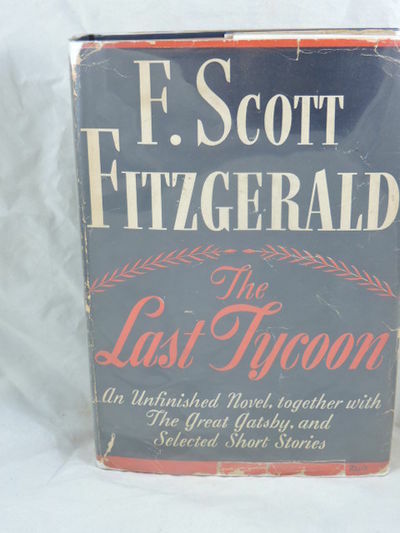 This copy is the original 1941 edition with the original green buckram cloth binding and gilt-lettered spine. ; 3; 130 pp. Paris: Nouvelles éditions françaises, 1941. Fine. Nouvelles éditions françaises, Paris 1941, 12x18,5cm, relié. - First Edition paper current false mention thirtieth edition. Bound in half morocco bordeaux, back with five nerves, flat marbled, endpapers and contreplats paper bowl, cover and spine preserved insolated, gilded head, elegant binding signed P. Goy & C. Vilaine. 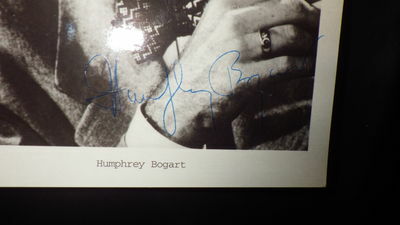 Autograph signed by the author. Beautiful copy pleasantly established. --- Please note that the translation in english is done automatically, we apologize if the formulas are inaccurate. Contact us for any information! - [FRENCH VERSION FOLLOWS] Edition originale sur papier courant, fausse mention de trentième édition. Reliure en demi maroquin bordeaux, dos à cinq nerfs, plats de papier marbré, gardes et contreplats de papier à la cuve, couvertures et dos insolé conservés, tête dorée, élégante reliure signée de P. Goy & C. Vilaine. 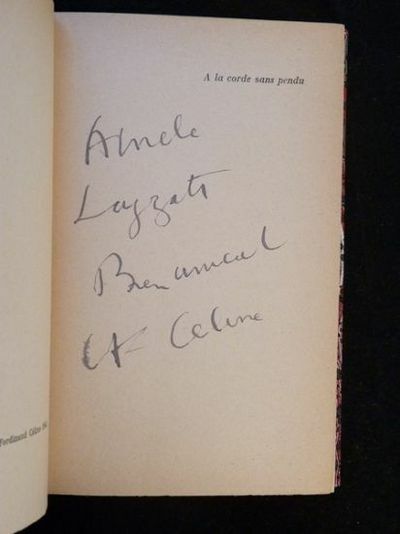 Envoi autographe signé de Louis-Ferdinand Céline. Bel exemplaire agréablement établi. 1941. Signed Photo Approx 5 X 7 inches, SIGNATURE GUARANTEED AUTHENTIC, NearFine- Condition with light rub, wear Scuff & tiny residue on Margins Front, This is printed on Fotochrome-x studio paper which establishes some age to the photo, SIGNED B/W PHOTOGRAPH. Signed by Author. Unbound. Very Good/No Jacket. New York: Scribner's, 1941. First Edition. Hardcover. Very good/very good. Light browning to endpaper at hinges. Light bumping to corners. Unclipped DJ ($2.75) with chipping to head/tail of spine and bottom of upper cover. 1941. 90pp folio scrapbook with 51 large photographs (most measuring 7-1/2 x 9 in.) laid down, plus newspaper clippings and printed ephemera including a menu and concert program. 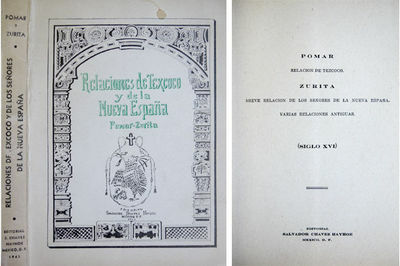 [Plus] 15 original photographs, most mounted with typed captions in Spanish. Folio. Black cloth, extremities rubbed. Very good. 90pp folio scrapbook with 51 large photographs (most measuring 7-1/2 x 9 in.) laid down, plus newspaper clippings and printed ephemera including a menu and concert program. [Plus] 15 original photographs, most mounted with typed captions in Spanish. Folio. ONE OF THE GREAT UNTOLD STORIES OF HOLOCAUST REFUGE. A remarkable survival, documenting the attempt to resettle European Jews in the Dominican Republic in the Second World War. Comprised mostly of material relating to the first anniversary of the signing of the agreement to establish the Sosua settlement, this is a significant collection of material documenting a little known episode in World War Two: a valiant attempt to establish a Jewish colony in the Caribbean. In the wake of the German Anschluss of Austria in March 1938, President Roosevelt convened a 32 nation conference at Evian-les-Baines to discuss the resettlement of German and Austrian Jews. With anti-Semitism (and fears of German spies) running high in the west, it was a largely thankless task and there was swift agreement that no one nation should be expected to receive in excess of a few thousand people. Although there were transit camps in Jamaica, Trinidad, Martinique and Curacoa, there was a single unlikely nation prepared to accept as many as a hundred thousand Jews on a permanent basis - so long as they agreed to work in agriculture. Thus the Dominican Republic Settlement Association (DORSA) was formed and 26,000 acres of land were purchased at the town of Sosua. President Trujillo's motives weren't entirely altruistic, he was partly motivated by the hope that the 1937 massacre of 15,000 Haitians might be overlooked and partly to prosecute his ambition to "whiten" Dominica: importing Central Europeans was one way to achieve this. One can't help but wonder at Trujillo encouraging Jewish immigration to achieve the same ends the Germans were persecuting the very same group for. An agreement was signed with the Trujillo government on 30 January, 1940. The contract read in part: "The Republic ... hereby guarantees to the settlers and their descendants full opportunity to continue their lives and occupations free from molestation, discrimination or persecution, with full freedom of religion ... civil, legal and economic rights, as well as other rights inherent to human beings." The uptake was slow, initially only 50 Jews made it across the Atlantic arriving in May 1940. They were given eighty acres of land and ten cows and received instruction in farming from kibbutzim in Palestine (only 13 of the refugees had farming experience). The population peaked in October 1941 at about 500 before the Third Reich suspended Jewish emigration and additional problems were encountered with submarine warfare in the Atlantic. A meat processing plant and cheese factory were soon established. However, the settlement performed significantly below expectations - conditions were difficult, morale was poor and in early 1941 the Vice President of DORSA even considered freezing the project. This group of material belonged to either James N. Rosenberg, president of DORSA, or more likely to Robert T. Pell, Assistant Chief of the Division of European Affairs, State Department. 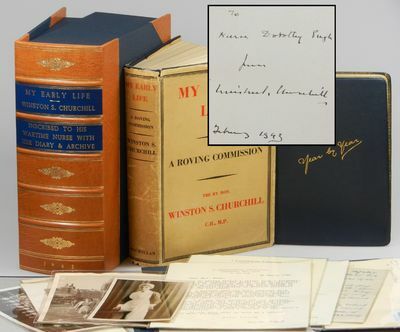 There is a presentation inscription on the front pastedown of the album reading, "To the "Chief" With deepest affection faithfully Alfred Wagg 3rd April 17th 1941". Wagg served as Secretary to the Intergovernmental Committee on Refugees and was Pell's assistant. However, there are letters addressed to Rosenberg (including a TLS from Trujillo) laid down in the album which might indicate him as owner. Rosenberg's varied career combined work as a lawyer, playwrite, artist and art patron. He attended Columbia College and Columbia Law School. The photographs divide neatly in two groups - the majority depict the celebration of the anniversary of the signing and include shots of Wagg and Rosenberg as well as the various festivities. The second group documents those who made it to Sosua and we see them engaged in work and at play. This latter group are certainly publicity shots for the project. On the verso of one of the photographs is stamped: "Foto Conrado. (Dr Kurt Schnitzler) ... Republica Dominicana ... Reproduccion Prohibida"
3. Rosenberg, James N. Informe al Gobierno Dominicano. 8vo. Original printed wrappers. 14 pp. Ciudad Trujillo, 1941. 4. Rosenberg, James N. Report to the Dominican Government. 8vo. Original printed wrappers. 14 pp. Ciudad Trujillo, 1941. 5. Sosua Settlement Show. We Want Women! Text in Spanish, English and German. Oblong 8vo. Original printed wrappers and cord tie. 15 ll rectos only. Sosua, 1941. 6. Trujillo, Raphael. TLS to James N. Rosenberg. Crested stationery. 3ll rectos only. 4to. New York, 26 December 1940. [With] A copy in Spanish. The letter discusses the progress of the settlement, indicates that more land will be granted toward the settlement if more refugees arrives and Trujillo insists the workers must also have somewhere to rest and take holidays. 7. Informe Respecto del Establecimiento de Colonos en la Republica Dominica. 8vo. Original printed wrappers. 24pp. Dominican Republic settlement Association. June 12, 1940. Despite the reservations and slow uptake ("Today there are only 300 settlers at Sosua This year we plan for no more than another thousand"), Rosenberg's report is uniformly upbeat and enthusiastic on the improved health of the settlers. He describes the advances made in agricultural production and the increased diversity of their crops. There are comments on the generosity of the Westinghouse Electric and Manufacturing Company and the Falk Foundation who both made significant contributions toward the settlement's industry. Rosenberg signs off with a note of thanks: "It is fitting, therefore, your Excellency, that in the name of oppressed countless thousands to whom the Dominican Republic spells hope and home and haven, I voice again from the depths of my heart a thankfulness that cannot be measured." ("Gertrude Temple" who also signs for her daughter and her husband) and Lowe's Inc. representative Nicholas Mayfack, on Loeb and Loeb legal paper Los Angeles, October 14, 1941. 2 separate pages, 8 1/2" x 14", stapled to the original folder. Fine, fresh, nice example. "Stipulation and Amendment of Order" filed by Loeb and Loeb, Attorneys amending Temple's earnings contract and setting forth the maximum fees her agents could be paid. 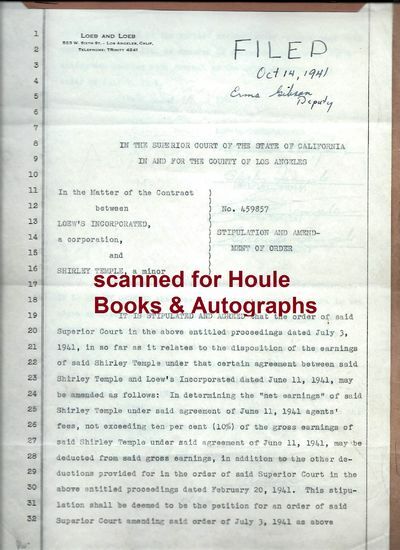 Temple was still a 13 year old minor at the time, hence the need for court approval and her parents signatures. Temple attempted a comeback in 1941 by appearing in the film "Kathleen." She was embarrassed by the poor script and left MGM as the film was completed. Columbia University Press, 1941, Hardcover, Book Condition: Very Good- with no dustjacket; 9 x 12 Hardback in Very Good condition. Deaccessioned from the Brooklyn Public Library. Minor edgewear to corners and head and foot of spine. Lettering to spine with stamps on head and foot of textblock, ... (Truncated). Condition: Very Good- with no dustjacket; 9 x 12 Hardback in Very Good condition. Deaccessioned from the Brooklyn Public Library. Minor edgewear to corners and head and foot of spine. Lettering to spine with stamps on head and foot of textblock, endpapers, and dedication page. Pages, including plates are bright and clean.. Illustrated by 39 black and white; GWO 1938. Catalog of these Persian rugs and textiles in this sacred Shia shrine. This copy is the original 1941 edition with the original green buckram cloth binding and gilt-lettered spine. ; 3; 130 pp. Paris: Les éditions de France, 1941. Fine. 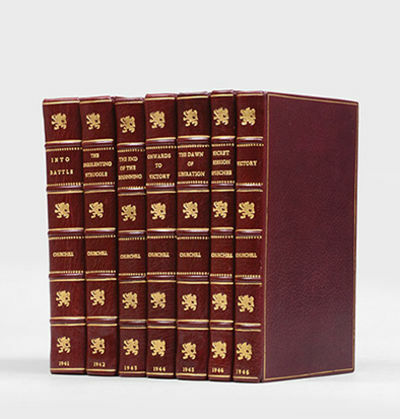 Les éditions de France, Paris 1941, 13x19cm, broché. - Original, one of 50 numbered copies on "pur-fil" paper Edition, leading copy. spine and flat marginally passed without gravity, otherwise nice copy. --- Please note that the translation in english is done automatically, we apologize if the formulas are inaccurate. Contact us for any information! - [FRENCH VERSION FOLLOWS] Edition originale, un des 50 exemplaires numérotés sur pur fil, tirage de tête. Dos et plats marginalement passés sans gravité, sinon agréable exemplaire.